When it comes to hair, I tend to take the diy approach. Okay, I don't full on cut my own hair- well, I did once, but normally I leave that to the professionals. Little trims, bangs- since I never can decide if I want them or not, and colouring all happen in my bathroom. 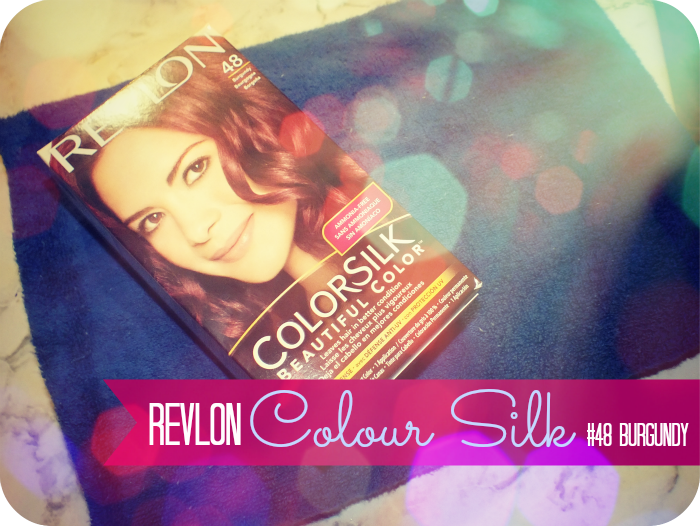 Revlon ColourSilk is new to Canada, but has been available in the United States for a while. I did some poking around to find the price, and I have to say I'm a bit flabbergasted at the difference between the US price and Canadian. A few dollars is the norm, but $3 in the States and $9 in Canada? Whaaaa? Getting past that... When it comes to what you get in the box, it's the standard lineup. I did groan for a moment when I saw the gloves though. They're not gloves, they're hand shaped plastic bags, ill fitting ones at that and they break really easily. Mine broke right as I was finishing up applying the dye. I do keep a box of latex gloves on hand for such an occasion, but not everyone does. 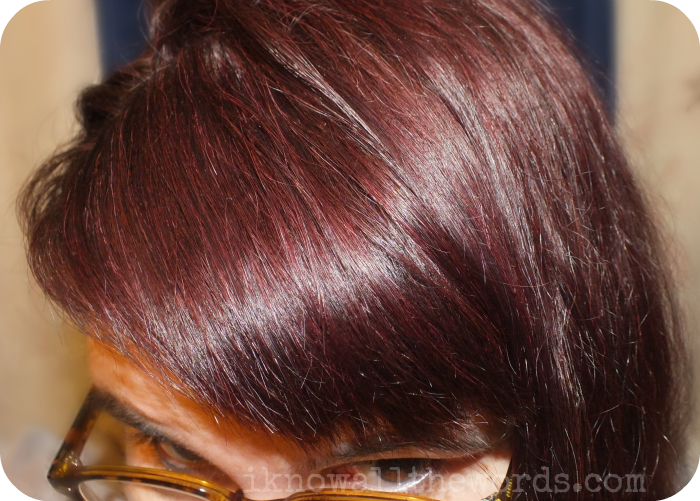 My hair before dying, was the remnants of a chocolate-cherry shade. 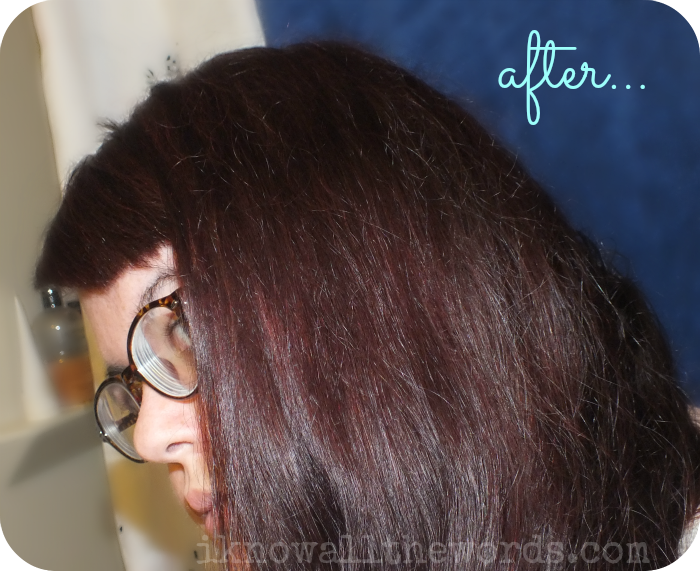 Most of the red tones were gone, so it was basically just a deep brown. My roots were back to black- my natural colour, and I had a smattering of grey peeking through my bangs. Ugh, the greys. I started getting clear hairs when I was about 16-17 and over the years they've finally started coming in grey. I don't mind them all that much, but I would prefer if they weren't there. My hair is long- it reaches past my shoulders by about 4 inches. I've never used two boxes of dye in the past, but I did find that one box of ColourSilk just wasn't quit enough to saturate all of my hair. The colour ended up looking fine, but I know the underside of my hair didn't get enough dye on it. Once rinsed and dried, the colour of 48 Burgundy is a burgundy brown shade. 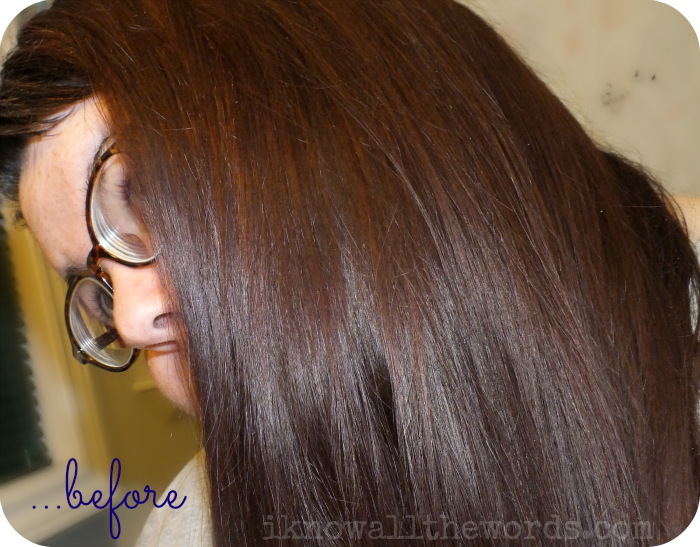 It is darker than I expected and more brown in tone as well. It's one of those shades that kind of has a duo-chrome thing happening. In dull/natural lighting, it's not that red in tone but when some light hits it, it really shines and has a gorgeous burgundy glow. The question will be how long does it last? Reds are notorious for fading away quickly, so we'll see. Overall, I don't mind this shade and the dye is alright. Along with not having enough dye, I didn't find that there was enough conditioner in the packet. 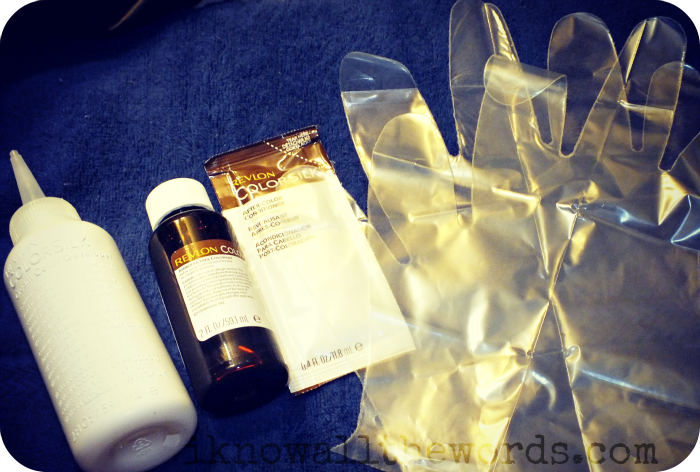 I prefer brands that give you a tube of conditioner, as you can use more if you need it and you get a second use. I'd pick this dye up if I saw it on sale, but I don't know if it would be my first choice otherwise. Have you tried this? 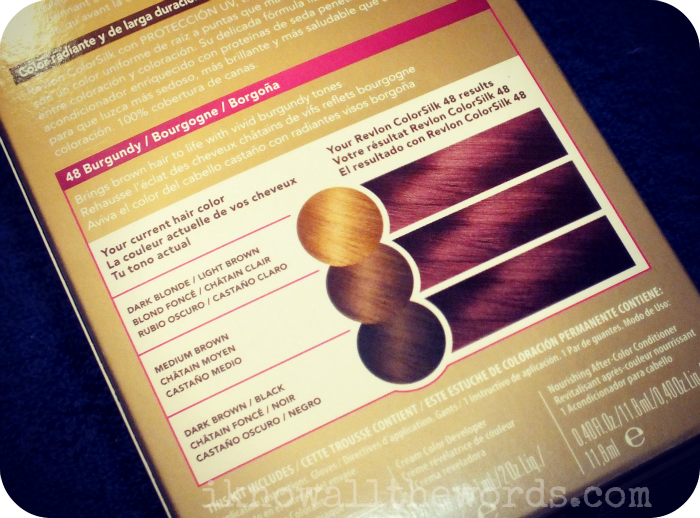 Do you dye your own hair or do you leave it to the pros?